When seeking a new Toyota vehicle, it helps to go to a dealership with a vast array of vehicle options, backed by a friendly and knowledgeable team. If you live near Pike Township, you don’t need to travel far to find such a dealership, as you can visit nearby Andy Mohr Toyota. We’ll go over everything you need to know about our dealership, and how we’ll help you get a great, new car. Don’t hesitate to contact us if you have any questions. Toyota Models for Sale near Pike Twp. We have lots of new Toyota models on our lot, including the Toyota Camry, Corolla, and new Toyota RAV4. You can check out our online inventory to see what we currently have in stock. Simply use the search filters to find cars by year, body type, and MPG ratings. Plus, if you want to learn more about a particular car, you can read through our vehicle reviews for in-depth information. If there’s any car that you’re interested in, schedule a test drive at our dealership. We’ll get you behind the wheel, go over the vehicle’s features, and answer any questions that you may have. Before you drive home in a new Toyota, you can fill out our short and secure finance application to get pre-approved. Then, visit our finance center to meet with one of our helpful finance professionals. They’ll discuss your budget and driving needs to come up with a payment plan that works for you. Afterwards, they’ll reach out to local banks and lenders to get the loan terms that you deserve. To ensure that your vehicle lasts for as long as possible, bring it to our state-of-the-art service center for routine maintenance, as well as any needed repairs. Our certified technicians have years of experience working on all types of vehicles. So, it doesn’t matter if you need a simple oil change or a more complex engine repair. Our team will use only genuine parts, and will work quickly and efficiently to get you back on the streets of Pike Township as soon as possible. If your car needs service, either give us a call or schedule an appointment online. Supply us with some basic info about your car, and we’ll confirm a day and time that work best for you. After your new car gets worked on, you’ll want to take the time exploring Pike Township. It’s one of the nine townships in Marion County, IN, and has a population of about 78,000. There are many places in the area to visit, including the nearby Indianapolis Art Center. You can take one of their many art classes, including drawing, painting, printmaking, and ceramics. You can also check out their various exhibitions or special events throughout the year. Visit Our Toyota Dealership near Pike Twp. Today! If you need more information about any of our departments, or are ready to begin the buying process, then visit our dealership today! 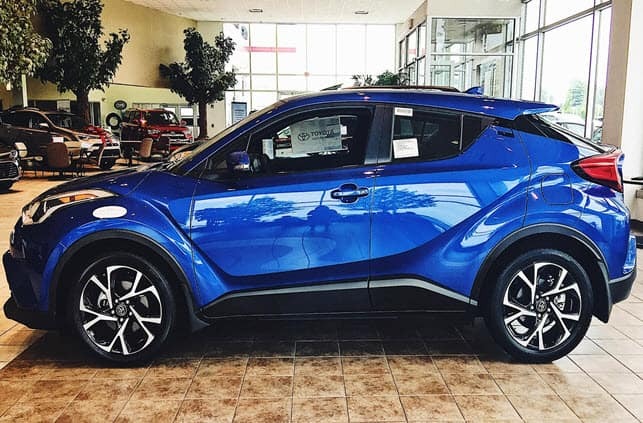 Andy Mohr Toyota has helped many drivers throughout Pike Township find their dream Toyota model, and we look forward to doing the same for you.